So, I definitely wrote January’s blog post with the thought in mind that I would write post maybe every month, but *definitely* at least every couple of months. - I started my first college job! 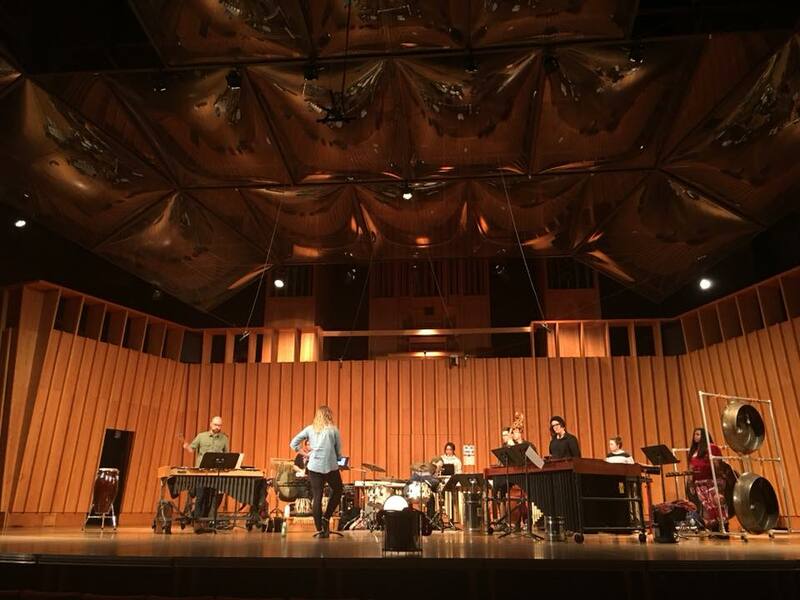 In February, I started teaching percussion at Gustavus Adolphus University in St. Peter. I love my students, love St. Peter, and love the little community I’ve been welcomed into. Very much looking forward to continuing and teaching a larger class load next year (adding percussion ensemble and World Music)! - Started playing with Ilan Blanck and Isabel Dammann as Sprig of That! So thankful for these two. I’ve been wanting to start a tabla fiddle band, and these two are IT. Both are incredible musicians and awesome people, and I am so excited about this band and where we will go together. - I went to a bunch of AMAZING shows, including Hanneke Cassel (and Mike Block! with local faves Orange Mighty Trio! ), musical heroes Bela Fleck and Abigail Washburn, and Taylor Donskey’s project Darling Lily Gave (phenom. plz buy), I’m With Her (obsessed with that album). There’s nothing like going to a string of awesome shows and feeling the vibes of musicians who are doing incredible work. - Work Wife had our first show! I love working with Karla Colahan and Olivia Diercks from the OK Factor, and of course Jenny Klukken! We had a really fun show at the Hot Spot in Northfield, and played all kinds of stuff - covers, originals, we sang, we played instrumental, we did some solo work. It was so fun to play together, and also to sit back and watch them be awesome. Senior Prom? Nope... just our first gig! - I also went to another awesome show - Zakir Hussain and Eric Harland with Charles Lloyd. I've been watching concert videos of this trio for awhile, so I was super excited to hear them live, and they did not disappoint! I also got to hang out with Zakir (and eat his birthday cake! ), thanks to the amazing Ty Burhoe, who is also an amazing tabla player and all around incredible human being. 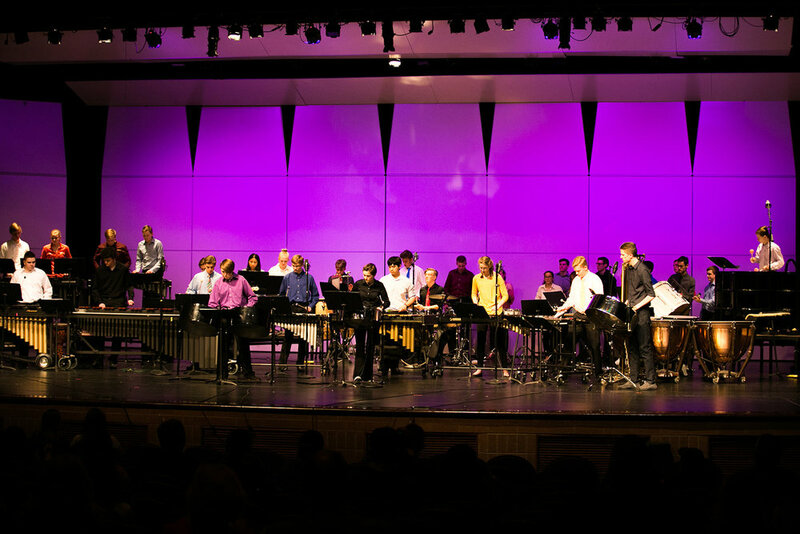 - Matra headed down to Illinois to play for the Illinois Percussive Arts Society’s Day of Percussion, which was being hosted at my old school, Carl Sandburg High School! I also gave a tabla masterclass. It was pretty wild to be giving a masterclass at my old high school, and to be the artist instead of the student, but it also felt really, really good. We even got to feature my little sister, Kelli, on one of our pieces! March was also special because I got to celebrate my 30th birthday with a new tattoo, sushi, and a sleepover jam session with my NEW banjo! It was a really fantastic weekend. - The week following my birthday was full of performances. We had our first Sprig gig at the Black Dog Cafe, and we had lots of friends come out and played an awesome show. - I’ve also been working on solo material as a part of a larger percussion show I have been putting together with friends called Concentric Spaces. I’ve been working with a loop pedal to loop vocals and play tabla/sing. It’s been intimidating, but also exciting to be responsible for everything that's happening in the set. I had my first performance later that week, and it went really well! It is definitely a work in progress, but this was a huge first step for the project. Solo practice and stress-eating cartons of blueberries. - In mid-April, Matra went back to Illinois, but this time we traveled back to mine and Mat’s alma mater, Northern Illinois University. I composed a piece for Matra and extended percussion ensemble, entitled Prayer, to perform on NIU’s percussion ensemble concert. We had an incredible time getting to know the students and getting to spend time with Greg Beyer and Ben Wahlund. We're also huge fans of Greg's group, Arcomusical, and anything Ben composes! Mat and I have so many incredible memories there, and it was so special for us to be able to go back and work with these students and Greg and Ben. Running rehearsal for Prayer. Thanks to photog Ben Wahlund! - At the end of April, Mat and I also travelled to Sedona for our friend’s wedding. We got to support an amazing couple as they got married, go hiking, and spend time with some of our favorite people. I also got to practice in a beautiful place, which is always a treat. - May is always a crazy time - the end of the school year bring with it my students’ biggest performance of the year - The Big Bang! I LOVE working with the students at Lakeville South, and this year was no exception. They worked hard all year and put on an incredible show - I was so proud of them! We had an exceptionally talented crop of students this year, and it was so fun to watch them perform. Big Bang 2018: To The Limit! - May also brought my second solo set performance. It was fun to add to it and change it, and I think each time I do it will be different. I got to perform with Betazoid, who were absolutely fantastic, and Shaper, who were also amazing and kicked off a week long tour with that performance. - Halfway through May, Sprig of That had our second performance ever with Jen Bluhm’s residency at Good Arts Collective. I knew it would be great to perform and the show would be awesome, but I did not expect to be so blown away by sharing the stage with these artists. A huge shoutout to Carlisle Evans Peck - their performance was remarkable, and they are an artist I am so, so excited for this year. I cannot wait to see what they make next! Carlisle’s performance at GAC was so incredibly creative and beautiful, I was rocked. - When Jen had asked me to perform for Waltzing on Waves’ residency, I had watched her videos and knew that she was an incredible performer, but I did not expect to be so moved. Her songs were so real, and so touching. I laughed, I definitely fought back some tears, and her mastery over her voice and the creative way she puts her songs together is so, so unique and amazing. Please do yourself a favor and follow her, she is NOT messing around! - To top it all off, I got to go to Paris at the end of the month! My good friend Jenny Klukken was a recipient of the Next Step grant through MRAC, and is in Paris for a month studying with the amazing Eric Sammut. She offered to have me come visit, and I jumped at the opportunity! I got to do some solo traveling, and also got to spend some time with Jenny wandering around Montmartre eating croissants and macarons and drinking coffee. It was an amazing adventure, and I am so excited for her and the experiences she is having there! She’s doing a ton of composing, including a little for Matra, so stay tuned for some of her compositions this fall! - Here we are, in the month of June! The coolest thing that has happened so far is that at the beginning of the month, I found out I was accepted into Banff’s International Jazz and Creative Music Workshop. I am so, so excited for this opportunity, and really pumped to be able to work with Vijay Iyer and Tyshawn Sorey, two monster musicians and creative music makers that I admire a ton. Thanks for reading! To get more information about where I’ll be playing next, please check out my Performance page. Also stay tuned for music videos by Matra and Sprig of That, which are currently in the works! Have a fantastic summer.